One too many times have I heard this phrase fall from a child's lips, as they whine relentlessly for some new contraption that has piqued their interest. Their voices are sprinkled with an unsettling cockiness, an overconfidence that their demands will be met. And God forbid they are not. Their faces swell up beet red, disbelief and anger flaring up in their nostrils. They become little bulls, their voices growing to the shrillness of dog whistles. Mistake me not. It is understandable if a child of four or five acts up this way. Public etiquette would still be a very new concept to children of such a tender age. Plus, these toddlers are only just leaving the stage of their lives during which they are always accommodated. During the ages of one through three, one could be fed, played with and lulled to sleep simply by crying. The idea of not being carried everywhere is still considerably foreign to them. Their insolence can be entertained. They are not the ones I’m worried about. They can and will learn. What frightens me is when I hear that whine, twist my head in its direction and I see an eleven, twelve or thirteen-year-old. I try my best to blink away the surprise but, once I am out of sight, I can feel the question mark forming in my eyes. I am so confused each time I see a sight like this. And, as I said, I have seen it one too many times. Children can act that way? I would think. If I did that, my mom would slap me. When my sisters and I were younger, we would misbehave. We weren’t angels. We were little children, needy and curious to see how far something could bend before it broke. Whenever my parents were the targets of those mentalities, they gave us an incentive not to act that way again. A slap or pinch on the shoulder, a smack on the mouth. Never meant to hurt us, they were physical reminders that disrespect would not be tolerated. The words lingered on me. Never before have I received that type of reaction, especially from another Pilipina. I knew discipline to be a tradition in Pilipino households. Ask any Pilipino teenager, “What were you hit with as a child?” and you will get a slew of different answers. But you will find that none who answer your questions will do so with resentment. In fact many of them laugh, reminiscing about what stunt they pulled to find themselves on the receiving end of a wooden spoon and how whatever they did they never did it again. The thwack of a tsinelas against your backside or of a palm against your face, all of these become memories Pilipinos jokingly exchange. So to hear the rancor in her voice, I could not understand. I couldn’t, that is, until I inspected more closely this friend who disapproved so intently. We were both Pilipino, but her personality bore no resemblance to the features that defined others like us. Time and again, I expressed my confusion to her. Each time she only answered, “Yea, I’m just really Americanized.” That explained the Santo Nino-less living room but does that really affect our attitudes on the abuse vs. discipline debate? I learned that it does. The Pilipino culture is one that deeply values respect, especially to one’s parents. When you show disrespect, you invite punishment. A light slap to the face waited for me when I ‘sassed’ my parents. A pinch the shoulder was to be expected when I misbehaved in public. But it was only when I diminished my parents’ authority that I was disciplined. For the Pilipinos, discipline is not something done out of spite, rather it is something done to preserve the ideal of parental appreciation. It is not a way for parents to hurt their children but to teach them how to respect others and, thus, gain respectability in return. This, according to Laws.com, is the main difference between discipline and abuse. While discipline is a controlled reaction to a misdeed, abuse makes no distinction between right or wrong, leaving emotional and physical wounds on its recipients often for no reason. “Americanized” people, I feel, are unable to perceive that difference. When the only examples of discipline that they are exposed to are televised abuse stories, Americans are given almost no choice but to be biased against physical punishment. They are forced to think in extremes, automatically associating discipline with fear-inducing violence when it is not. They don’t realize that a middle ground does exist, and one of the places you can find it is in a Pilipino house. I will always remember that conversation with that particular friend. I was in seventh grade and, although I knew that my parents were not abusing me, there was no way to properly explain that. Intuition was not enough ammunition against the black-and-white ideology of children. I was not aware of the shades of gray that vindicated my parents from the label of child-abusers. However, I walked away from that conversation confident that my mom and dad were loving parents. Now older, I can and do defend my parents actions as something they learned from their parents, something that is indicative of the Pilipino culture, and something that allowed me to become a considerate and respectful individual. We might've come across this at least in one point in our lives, you know, that crossroads of "Am I Pilipino or American?" Now imagine throwing a third element at that crossroads something like, say... living abroad where The Namesake meets Lost in Translation? Heaven knows that there are fellow Fil-Ams who can relate: interestingly enough, I became more aware of UniPro thanks to our editor's entry about experiences with her Fil-Am identity as she taught in northwestern Thailand. Reading Ryann's bit had me recall a pivotal event in my life: my senior year of high school in Japan. While I've struggled with this identity crisis before, I've never had it so bluntly laid out in front of me that night, more so in Japan and not in the US or in the Philippines as what Ryan Songalia experienced! I vividly remember the confusion I had as I walked down the cold winter streets of Sapporo in tears, the Kanji of the signs that I passed seemed just as incomprehensible as the emotions and thoughts I had. Until then I thought I embraced my heritage, I believed that I could proudly call myself a Pilipino. However, I didn't realize it immediately that night but I eventually grew to appreciate such an epiphany. During the weekends, I would hang out with Pilipino friends who were scholars in the graduate programs at Hokkaido University or Hokudai for short. Admittedly, it was a challenge at times when they would speak in Tagalog but it allowed me to immerse myself in a language that I typically would only hear whenever TFC was on at home or at Fil-Am potlucks. One of my Hokudai kuyas used to joke that when I returned home from Japan, I'd be more fluent in Tagalog than Japanese! Alongside picking up some Tagalog, I learned of terms that I wasn't typically exposed to in my sheltered life in suburban Southern California, words ranging from Japayuki to TNT. During my experience I watched the scholars create Hokkaido Association of Filipino Students (HAFS) with the first meeting coinciding with the birthday party they hosted for me and fellow scholars. Can't forget enjoying apritada and birthday cake while using chopsticks! I remember how we'd have informal initiations where the newcomer has to do at least one song at the karaoke bar. I managed to hold out until my final weeks where I ended up giving a rendition of With or Without You. But one thing I loved about those karaoke trips was that some bars actually had Filipino songs! I began missing my vain attempt at Bono when I disgraced Carol Banawa's Iingatan Ka. And alongside HAFS, I grew acquainted with some engineers who worked with local technology firms and Pilipina housewives who joined their Japanese husbands in Hokkaido. The most prominent of the housewives was Tita Susan, a wonderful lady whose goal was to bring a more positive image of the local Pilipino community; that image was one that went beyond the stereotypes of young Pilipinas working in bars and clubs with some entering prostitution. It's certainly a tough image to shake off (I'll never forget a Japanese friend joking about having me bring back a stripper when I come back from my spring break trip to the Philippines) but Tita Susan would do her best to help fight such stereotypes. She would always lend a hand in coordinating Pilipino cultural events, link Pilipinos across across the island through the Samahang Pilipino ng Hokkaido organization, and even offer her home for us to practice folk dance which we'd then perform in local festivals. Looking back, my first ever physical involvement with Gawad Kalinga was through a fundraiser that Tita Susan where I ended up strapping myself with coconuts to dance the Maglalatik! As I grew more involved with the Pilipino community of Sapporo, I realized that there was more than just my lack of fluency in Tagalog that had me lost in translation. Admittedly one of my favorite examples was the idea of "courting" in relationships seems to be a hot topic of debate as I watch Fil-Am friends and family go at it on every other trip back to Iloilo! Bit by bit, the revelation that my Pilipina friend at HIS started to make more sense. I mentioned that I started to appreciate it--not in the sense that I was glad to not be identified as a Filipino but instead as someone who has benefited from living through two different sets of perspectives and values. And I can't help emphasize that out of all places and times that I would come to appreciate this outlook, it was during the study abroad experience in Japan. This experience helped me realize that my identity was further magnified by how I was perceived not by just Pilipinos or Americans, but instead by the local Japanese and my friends and classmates. They comprised of 30+ nationalities at HIS, and many could relate with identity crises as Third Culture Kids or as haafu, children of Japanese and international blood but aren't considered by local society as Japanese at all, due to their diverse heritage in a ethnically homogenous society. "Imagine a person who is a beneficiary of two great cultures. If he is smart enough to pick the best of both worlds, it is definitely a great thing." I feel that my time in Sapporo allowed me to more strongly draw from both worlds, while being exposed to a third foreign one. My experiences there helped me appreciate more of how much I've taken for granted as a Fil-Am, and how such tight-knit Filipino communities overseas go beyond just potlucks. It certainly was an experience that has helped me in being more content with my disposition. And through that, I want to emphasize to fellow Fil-Ams to interact with the local overseas Pilipino communities when going abroad. Who knows, maybe alongside learning the identities that make up the overseas Pilipino communities that you might find something that helps shape your own. 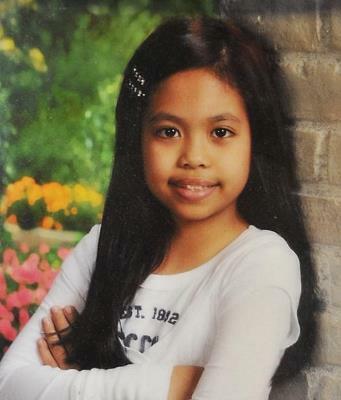 On May 22nd, Gabrielle Molina, a 12-year-old Fil-Am from Queens, NY, took her life. She left behind an apologetic note to her family, which explained that she endured relentless bullying, both at school and on the internet. Gabby's story is not an anomaly. Across the country, and the globe, bullying has become quite commonplace. According to the National Crime Prevention Council, 43% of all teens in America are victims of bullying. This includes cyberbullying, which is done over the internet and through other digital means. The accessibility and anonymity associated with the internet allows hurtful messages to be sent and seen instantaneously. Thus, the internet incubates open battlegrounds for bickering, name-calling, and downright nasty arguments. These attacks appear on social media sites, comment sections and forums. Today, kids and teens have technology at their disposal, and can engage in unethical conduct, often without care or knowledge of the consequences. In the wrong hands, this technology becomes dangerous, and in Gabby's case, deadly. Though we cannot blame Gabby's peers entirely for her passing, they did trigger her decision. As kids, we're taught the following phrase: "Sticks and stones may break my bones, but words will never hurt me." But what if this isn't the case? Our words certainly have the ability to inflict greater pain than we intend. In addition to cyberbullying, we must consider the state of Gabby's mental well-being. Kids and teens, like adults, may be living with a mental illness. Often overlooked or unidentified, these illnesses intensify, especially without attention or proper treatment. As mental health becomes more visible in today's media, I'd like to send out a plea for help. Earlier this month, President Obama held the National Conference on Mental Health. The conference brought various mental health professionals and advocates together, in hopes of addressing the conversation at a national level. While there has been some criticism of the conference, I have faith that we're headed in the right direction. In addition to the conference, the Obama administration launched MentalHealth.gov, a comprehensive site for those seeking mental health services and resources. Furthermore, there are many other organizations out there that have been supporting and advocating for those living with a mental illness. My hope is that this conversation continues, and is not forgotten by the media. I believe it is up to us to equip ourselves with the right attitude and knowledge in order to truly change our culture's perception of mental health. We have to realize that anyone around us could be suffering in silence. By understanding the stereotypes and stigmas against mental health, we can help our friends, family, and even ourselves, during difficult times. In the meantime, here's a letter I wrote to Gabby. It's signed "The World." I hope you will all join me in being part of that world. We’ll never know how much you suffered nor will we know the truth. We’ll never know just how hard you tried to live freely in your youth. We know it must have been hard to fight the demons deep within. We know you couldn’t take the pain, nor the hell you were living in. But there are some things that you should know, even if it may be too late. Please know that we are sorry that you endured such cruelty and hate. We apologize that we did not filter the toxins from our freedom of speech. The jagged grains tossed from our own hands went beyond our reach. For the poisonous words and bullying crept right into your very heart; You were physically and mentally tortured, your peace was ripped apart. We apologize that we’ve progressed to this: crimes can reach us in our homes. Perhaps unwelcomed claims and criticisms are worse than sticks and stones. We apologize that our society has taught us how to turn a blind eye, For media and pop culture tells us to keep quiet when all else goes awry. We know cultural expectations left you amongst many doubts and fears, And that you were afraid ask for our help, lest a soul witness your tears. We are aware that we did not help you, we may have ignored the signs. We are sorry we did not think to look beyond the curtains nor the blinds. We hope one day you’ll forgive us, and that you do not blame yourself. Because we’re all responsible for each other’s happiness and health. For now is the time to be courageous for those who have only an ounce of hope. It is us who must speak out, and broaden our conversation and our scope. We should help others out of the darkness, the shadows and the grief. We will stand up for all, friend or foe, who cannot find their own relief. For each of us have been touched by mental pain, illness, or misdirection. So we have the responsibility to elevate and change our perception. We must encourage those around us to find the solace that they seek. We must be a beacon for those who’ve fought until their body’s left them weak. It is our hearts you have touched, though it’s been a tearful goodbye. We know we might not erase the stigma, but hey, it’s worth a try.